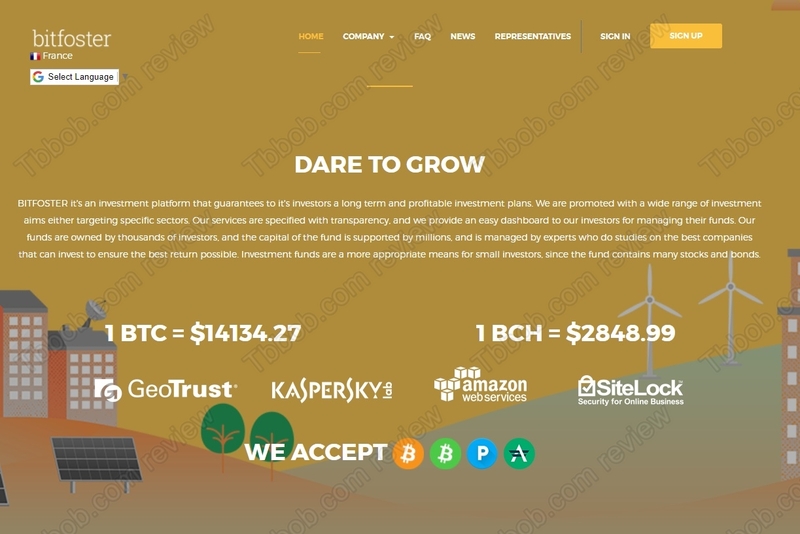 This review explains why Bitfoster is an investment scam that you should not participate in. 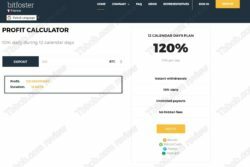 Bitfoster claims to be an investment platform that guarantees profitable investment plans. Investor’s funds allegedly are managed by experts who invest in stocks and bonds. 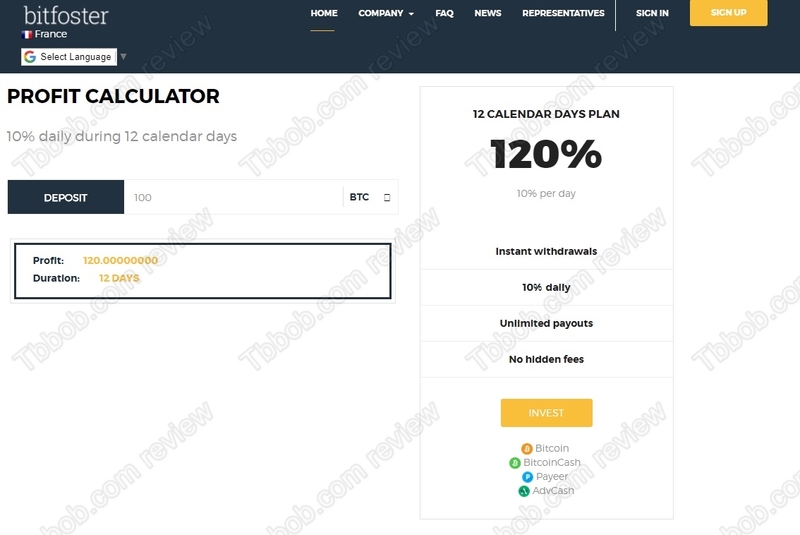 Bitfoster has one investment plan with a 10% daily return for a period of 12 days. In other words 300% monthly and 3650% yearly. Is it real? Let’s start with the basics. No legit business can offer 10% daily, let alone guarantee it. Any program with such return must be a scam, period. There is no real need to investigate more, you have to know that 300% monthly is unsustainable for any business or investment scheme. This means one thing, Bitfoster is a Ponzi scheme, which means a scam. A scam that might pay some profits at the beginning, but if it does, new deposits will be used for this purpose. And this is the point of failure of Ponzi schemes, there will always be a day when there won’t be enough new deposits to pay out profits. This is how these scams fail, they always fail, it is only a matter of time. Bitfoster is trying to gain some credibility by showing a tax registration from the UK. But you should know that such a tax registration means nothing, it says nothing about the nature of the business that a company is doing. Bitfoster is offering investments services, it is clear. So, to be legal, it needs a license from the British FCA, but it of course hasn’t got one. It means that Bitfoster is an illegal investment service. That’s how it is. Bitfoster is an investment scam that is going to collapse sooner or later. So, stay away from it! If you are interested in trading, forget about free robots or services, these are scams. To make money in trading you have to learn and build yourself a proper strategy. You can try and do that on a free demo account with a regulated broker. Don’t start trading with real money until you are really ready and you acknowledge all the risks.